BEN Wyatt has become Australia’s first Indigenous treasurer after incoming Labor Premier Mark McGowan revealed his ministerial portfolios today. 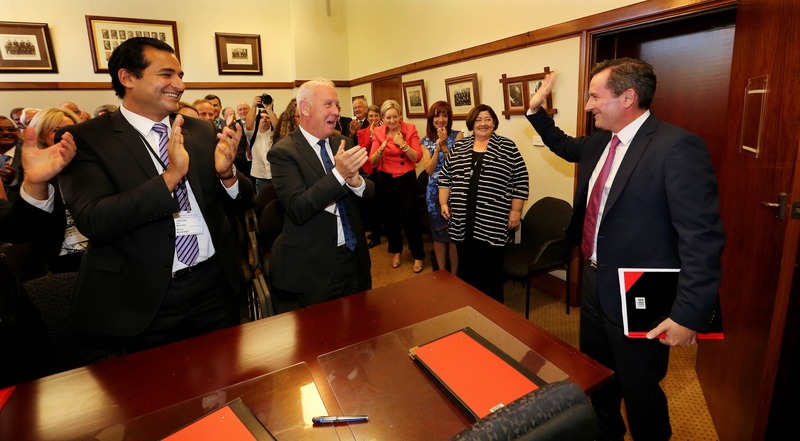 Mr Wyatt (42) was rewarded for his stellar work as opposition treasury spokesman by being handed the key position of Treasurer, while he also takes on the energy and finance portfolios as well as Aboriginal affairs. While veteran Alannah MacTiernan is minister for regional development, agriculture and food. She will also assist the Premier in the state development, jobs and trade portfolio. John Quigley was named Attorney-General, while Rita Saffioti was given transport, planning and lands. Former navy diver Paul Papalia will deal with defence matters, as well as handling tourism, racing and gaming, plus small business. Michelle Roberts is the police and road safety minister. The first meeting of the new Cabinet will be at the historic Hale House in West Perth on Monday March 20.